Forza Horizon, which released yesterday, introduces a "car club" concept to the game, and it isn't just a leaderboard of your friends. 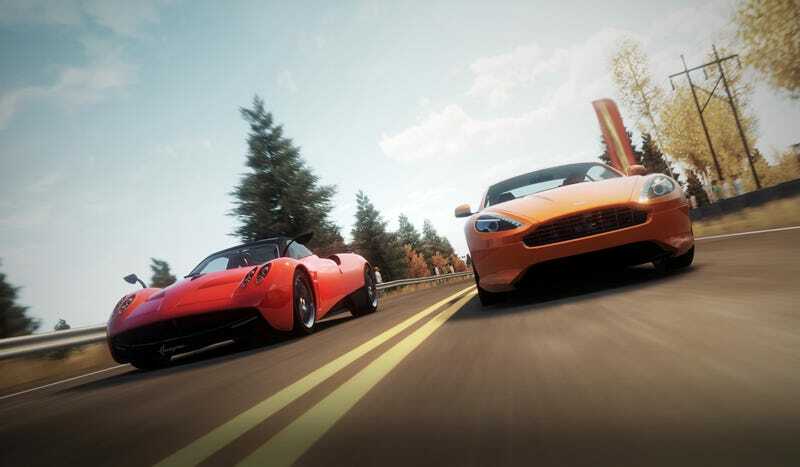 You may share your best rides with anyone else who joins up, and they may take those cars out on the open road of Forza Horizon's Colorado. Update Car clubs are capped at 100, and we hit our membership limit way early into this. My apologies, folks, but JLKT is full. What's the catch? Well, only the car's owner can modify them, either in appearance, or in attributes. That's OK, the fleet we have waiting for you has plenty enough horsepower. All but one of these were supplied by yours truly. Matt Hardigree over at Jalopnik, one half of this club's namesake, has only delivered one car. He needs to get cracking, don't you think? • Ford Mustang Boss 429 (S class 668 rating). Big stupid hoon muscle, painted matte black. Go wreck it. • Saleen S5S Raptor (R2 894). I was gifted this by Forza Horizon's community managers. Now it is yours. • Mercedes 300 SL Gullwing Coupe (D 247). Base paint job, This is one of the early barn finds, good for touring the Colorado countryside. • 2013 Dodge Viper GTS (S 681), Just picked this up with my hard earned moolah. It's yours for freeish, enjoy. • F-150 SVT Raptor (B 494), You win this off the first boss. • 2012 Jaguar XKR-S (A 596), here is the one vehicle Matt Hardigree has deigned to loan us. All that and more is waiting for you inside the Jalopnik Kotaku car club at Forza Horizon. To join up, just go to the Car Club station at the central hub of Forza Horizon, and search for "Jalopnik Kotaku" by name (no quotes) enter JLKT as the club's four letter code. The club is set up to receive requests, Matt and I will approve them as we receive 'em. Just, you know, bring a good car to our automotive potluck. Thanks.